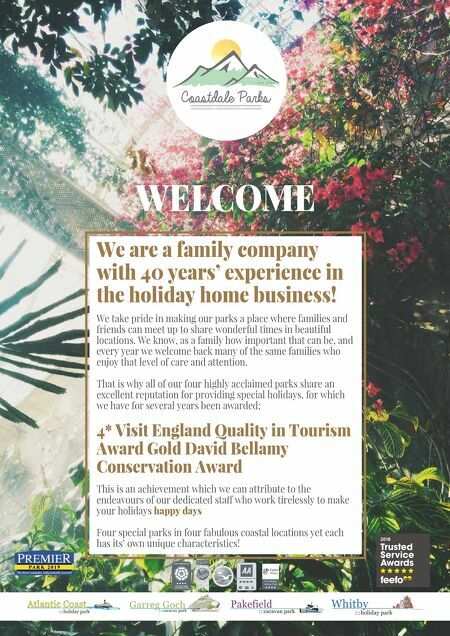 WELCOME S E A S C A P E S - L A N D S C A P E S - E S C A P E S E S T 1 9 7 5 We are a family company with 40 years' experience in the holiday home business! We take pride in making our parks a place where families and friends can meet up to share wonderful times in beautiful locations. We know, as a family how important that can be, and every year we welcome back many of the same families who enjoy that level of care and attention. 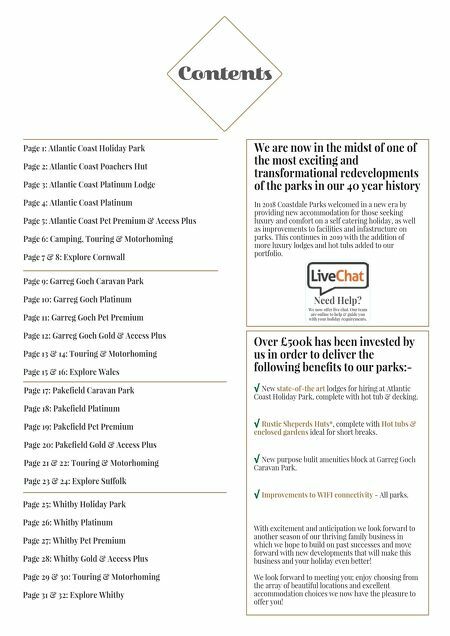 That is why all of our four highly acclaimed parks share an excellent reputation for providing special holidays, for which we have for several years been awarded; 4* Visit England Quality in Tourism Award Gold David Bellamy Conservation Award This is an achievement which we can attribute to the endeavours of our dedicated staff who work tirelessly to make your holidays happy days Four special parks in four fabulous coastal locations yet each has its' own unique characteristics!